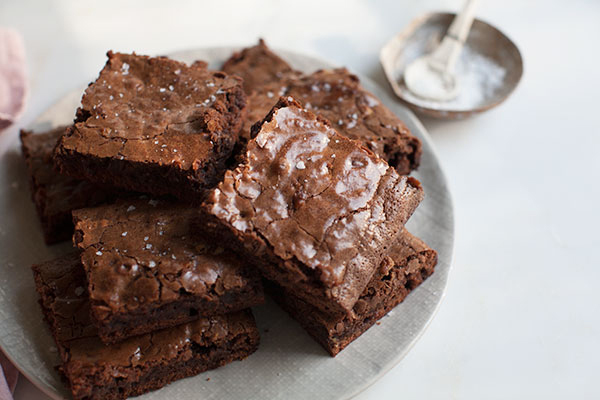 Simple Baking Tips for The Best Brownies Ever! It’s that time of year when the weather goes from warm to wet and it’s nice to have a plate of warm gooey brownies waiting for you after a long day. But making the perfect chewy chocolate dessert doesn’t have to be a challenge. It’s as simple as follow a few rules in the right way for the best after school or work snack you can imagine. Only Use the Best Chocolate. It might feel like the simple solution to just get the easiest or least expensive brand, but you really want to go with a high-quality semisweet or bittersweet chocolate or cocoa when choosing your chocolate. 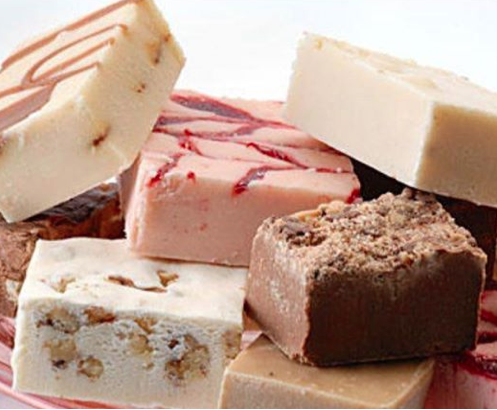 Great brands include Scharrfen Berger, Saco, Ghirardelli, Droste, and Callebut chocolates. Sift Your Cocoa Well. You don’t want to end up with powdered lumps in what should be smooth and velvety sweetness. So scoop the cocoa with a metal measuring spoon or cup, then sift or whisk gently with the flour. Always Use the Right Pan. Using the right pan size and shape are important in any recipe, but it’s especially important when making brownies because the how deep the pan is, allows the batter to have that full tasted and rich texture. Shallow pans make chewy brownies while deeper pans make denser, cake-like bars. Use a Spatula to Spread. It’s best to go with a small metal spatula because they’re better at spreading brownie batter and icing evenly. Goldman suggests dipping spatulas in hot water before using to keep brownie batter from sticking. Don’t Over Cook. No one wants to end up with a pan full of hardened, dry bars. So to avoid this, place your brownie pans on baking sheets lined with parchment paper; this will keep the bottoms of the brownies from scorching before the tops are set. There’s something incredibly satisfying about making your own brownies and now you know the secrets to making them just right. However, if it’s still too much to wrap your head around or you just don’t have the time, but still want the home-made touch, you Ontario Bakery can do it for you. We’re the baking experts. Call us today to place your own, customized delicious order. 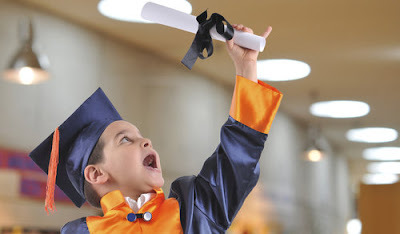 Kids Deserve Graduation Parties Too! Here Are Some Tips to Make Your Party a Smashing Hit! and it’s time to celebrate those little minds that have worked so hard, don’t you agree? The truth is, your party can be as extravagant or simple as you like, as long as you make it fun and memorable. So you bring the smiles and games and we’ll bring the sweets to make your celebration a wild hit! Ready for some party planning ideas to really let loose on? You’re going to love them! Cookie cutter fun: Get large cookie cutters and place them on the table with a table cloth or platter underneath. then fill in each cookie cutter with different treats from seasoned almonds, to candies and baby carrots! Your guests will be happy to pass by and grab their favorite snack, all at your ease! Patterns on a stick: Cube and cut different fruits, and separate them in bowls according to color. You can use watermelons, honeydew, pineapple, grapes and more. Lay out wooden skewers for them to choose and stack the fruit then eat and enjoy! Build a costume photo booth: Using an smart phone or camera on a tripod, your little ones can put on their favorite costumes and have a picture to remember it all! School colors: Use either the colors of the last school or the next one as the color theme of the whole party! You can do this with balloons, plates, cups and even the icing on the cake! Your guest of honor will be so proud to walk in to a room filled with the colors of his accomplishment. Have an amazing dessert: Cakes have been used for hundreds of years to celebrate major events in people's lives. From love and commitment to celebrating accomplishment, a cake is a way for people to know that they are loved and valued. Everyone gets to come together and, literally, take in the sweetness of the day and mood in the air. Whether cupcakes, cake pops or a traditional cake, you can decorate each with the school colors, the graduate's favorite colors or even just keep it simple and fun! 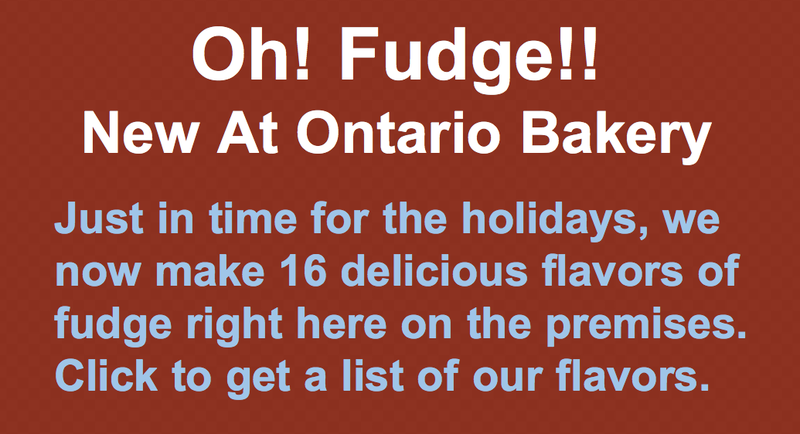 If you’re in the area, Ontario Bakery is here to be of service on your special day! 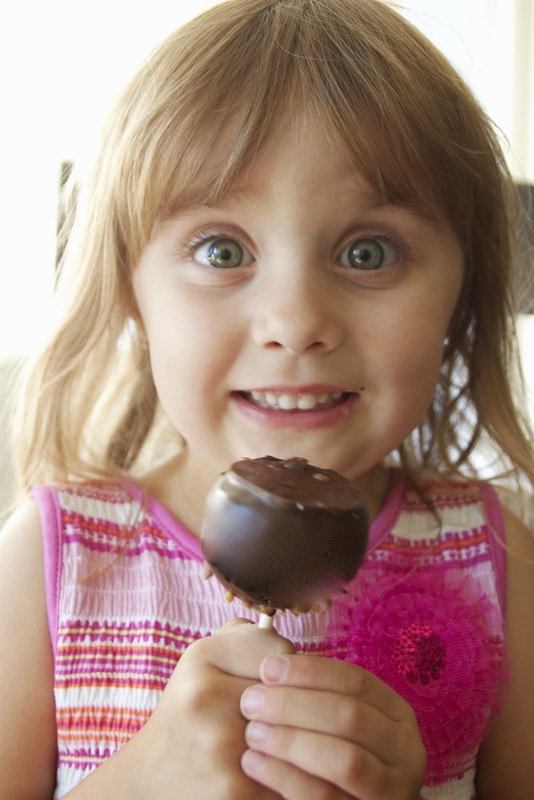 We are honored to make the sweet that brings even more smiles to your special day! Simple Fun Birthday Ideas for Tween Girls That Are Hard to Please! If you're planning a birthday party for a tween girl, you’re facing a big challenge. She doesn’t want the little girl stuff but she’s not quite ready for the big girl stuff either! So aside from knowing you need to stay away from the typical decor like balloons, banners or themed desserts, and the childhood games she’s outgrown, you need ideas that she’s going to find both fun and cool for her new age and stage! Invite a couple of your friends to be spa specialists (not the other girls mom’s preferably) to come and do the girls toes, nails and maybe even some facials. You could put face masks on them, paint their nails and toenails and even have stylish drinks with lemonade and grenadine with little umbrellas inside. If you want to go further with this one, book a makeup artist to do their make up and then bring them all to the movie and dinner later to show of their fabulous state. How about hosting a karaoke night? You can rent out a machine at home or go out for the real experience! Some places have age restrictions, but you usually have the option of renting out a little room out. Add grabbing Chinese food to that mix and you've made a classic win. For a totally different feel, take the party outside and have an adventure day. Here, you can go on a hike, build a raft, co canoeing. If you have access to a lake or a little island, this is a great idea for everyone involved. You could start things off with lunch out somewhere nice and then maybe they could get their nails done. Then have a movie night setup for when you get home, so they can put up their feet and chill into some more relaxing fun. Get some delicious treats and give the living room to them for a few hours. Sure, the tween years can be hard, but they can be fun too with the right attitude, creativity and planning! At Ontario Bakery, we know birthdays. It's one of the celebrations we do best. We'd love to make this day even more incredible, so please, visit our California location or give us a call!